The Japanese sure do have an intersting sense of fashion and definitely take dressing up to another level. 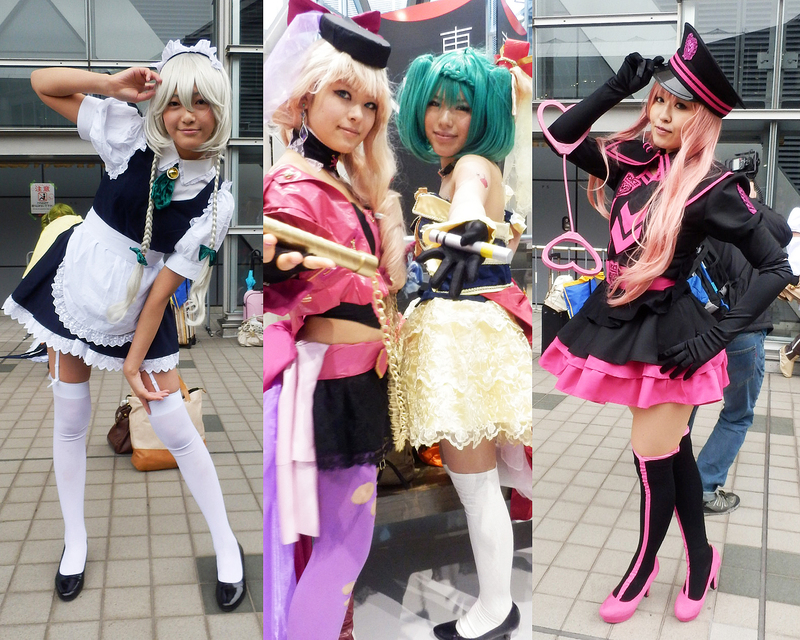 Cosplay can be seen as a way for someone I guess to express their passion. I mean who doesn’t want to dress up as their favorite character? Understandable if you are OBSESSED it makes sense that you would become them. But I think that you should compare this to other cultures as well, because I definitely know that Americans definitely get just as dressed up for comic-con (google American comic-con and so many pictures come up https://www.google.com.au/search?q=american+comicon&client=firefox-a&hs=jKU&rls=org.mozilla:en-GB:official&channel=fflb&source=lnms&tbm=isch&sa=X&ei=LlMaVMXwEIiXuATDxoCABA&ved=0CAgQ_AUoAQ&biw=1920&bih=976). I think its something to do with the fandom of comics and fiction that certain people just get wrapped into. But I don’t think that this concept is distinct to a certain culture. Thinking about how much money and time goes into possibly making or sourcing these costumes is insane.